France’s special forces are up there with some of the best in the world, alongside the famous US Navy SEALs and the British SAS. This week at the special forces exhibition SOFINS, being held in France, we saw some of the latest kit and technology used by the country’s special operations command. We’ve seen everything from small arms to rivercraft to tactical vehicles. The new Special Forces Heavy Weight (PLFS) tactical vehicle. The Riverine Combat Craft (EFC). 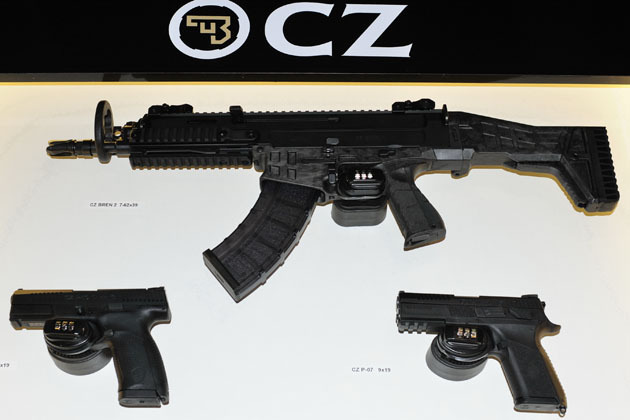 Interestingly, the French National Gendarmerie Intervention Group (aka GIGN, an elite special ops unit) has ordered a new standard issue weapon in the form of the Bren 2 assault rifle from Czech company, CZ. Meanwhile, the French Army dropped a web series highlighting its Gorgones annual training exercise for the brigade des forces spéciales terre (BFST – that’s the French army’s special forces command). The videos highlight some pretty awesome operational training with members of the 13th Parachute Dragoon Regiment (13th RDP) in full dive kit jumping out of an army Cougar helicopter. The eight-part web series showed how over 15 days 400 soldiers worked together on the training exercise which included 1st Marine Infantry Parachute Regiment (1st RPIMa), 4th Special Forces Helicopter Regiment (4e RHFS) alongside the 13th RDP and BFST. While the BFST might not quite be the GIGN, after having watched the web series we can officially say that France’s special forces are pretty badass.